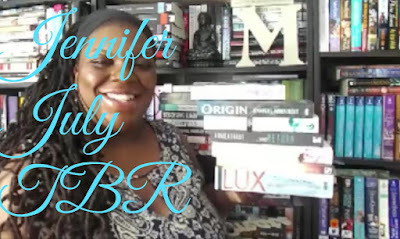 About two years ago I participated in Cambria otherwise known as Cool Beans Books on Youtube Read a thon in July, all so I could catch up on my Jennifer L Armentrout/ J Lynn books, and I have quite a few of her books on my shelves and TBR Pile. Here is all the information you need to participate if you would like to do so as well. Originally hosted by Cool Beans Books on her Youtube channel, running throughout the month of July. Here is the rest of her links to stalk to her on twitter or instagram as well. Even though she may not be hosting this even again I thought it would be an excellent way to break up the summer by giving us a theme, as well as a short term goal to shoot towards. And for those participating I will be hosting a giveaway from July 23th to the 31st, and I will be giving away a copy of " If There's No Tomorrow". Are you participating?? Share in the comments down below so I can come see and cheer you on.! !